(Host) The House has given its strong support to legislation that’s designed to increase the recycling of solid and organic materials. Supporters of the bill say the measure is needed because Vermont is running out of landfill space. (Kinzel) Over the past 20 years, the state has failed to meet virtually all of its goals to reduce the amount of waste going to landfills. It was hoped that by 2005, 50 percent of all material would be kept out of the waste stream but the actual number in 2009 was only 36 percent. This bill establishes new timetables for the recycling of certain materials. In 2015, all yard waste would be recycled or composted and organic wastes would be recycled beginning in 2017. Essex Rep. Tim Jerman says organic wastes now account for 25 percent of all materials that are sent to landfills and he says the state needs to deal with this issue as soon as possible. 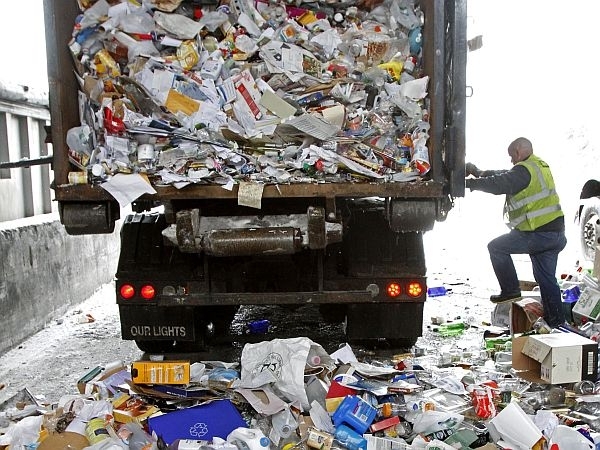 (Jerman) "The problem is we’re running out of space to put our wastes. We are down to only two operating landfills in Coventry and Moretown and Moretown is nearing capacity possibly in 18 months time…Vermonters are now generating 34 percent more waste in total volume. We have a big collective problem." (Kinzel) Jerman says the good news is that a new culture is developing over recycling programs. (Jerman) "We are beginning to think of the waste stream not as garbage but as commodities which have residual value; glass, aluminum, paper, cardboard, plastic, food scraps and much more. We are in an era of resource recapture." (Kinzel) Derby Rep. Robert Lewis said the legislation was long overdue. (Lewis) "For the most part I don’t like mandates. I know that’s not a big surprise to a lot of you but this may surprise you, this bill is long overdue. This is a mandate that I can’t believe wasn’t brought up years ago…the cost of solid waste removal is going to be astronomic if we don’t address it right now." (Kinzel) The bill does not make any changes to Vermont’s bottle deposit law. The measure will come up for final approval in the House on Friday. It will then be considered by the Senate. In Jericho, town officials are deciding whether to move to a consolidated waste and recycling collection system.